ALKALINE FLOOD LIGHT. Includes 2x AA alkaline batteries. Can be mounted with double magnet and clipped on pockets. Compact size and lightweight construction allows easy storage in pocket. Battery type2 x AA. Mini MagLite compatible LED bulb with integral metal heat sink for outstanding heat dissipation and performance. 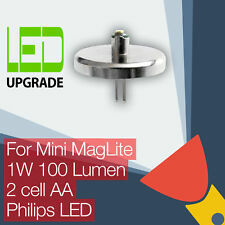 Efficient 1W Philips LED with 100 lumen output. Designed for 2 cell AA Mini MagLite torches. A whopping projected lifespan of 50,000 hours! Simple installation, straight swap for the existing bulb – no tools required. Same day dispatch for orders placed before 1pm. This LED upgrade is the brightest conversion currently available for the 2 AAA Mini Maglite. 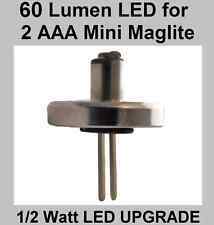 The brightest LED bulb on the market for 2 AAA Mini Maglites (it also fits the 2AA cell Mini Maglite). The TTS-2 AAA features:-. LED chip: 5730 LED. Usage: Torch headlamp, Dashboard light, Flashlight. Color temperature:Warm white 3500k. Warranty: 1 Year. (Usage: Torch headlamp, Dashboard light, Flashlight. 5) If the LED bulbs don't light up, turn off the light and car, turn the LED bulb 180 degrees and repeat from step 3). 3) After that, keep the engine off and turn on the light to see whether the LED bulb lights up. (Power: 3W in theory power. Usage: Torch headlamp, Dashboard light, Flashlight. 5) If the LED bulbs don't light up, turn off the light and car, turn the LED bulb 180 degrees and repeat from step 3). 3) After that, keep the engine off and turn on the light to see whether the LED bulb lights up. • Lightweight floating design. LED Lights and Torches. LED Headtorches and Torches. LED Keyrings. • Reflective surface to easily be found in low light. Beam Distance 50m. Coin & Button Cells. Health and Beauty. ENERGIZER Vision HD LED Torch PMHH21. LED bulb type. High intensity bulb. Wrist strap. 1.5V generated. Corrosion proof. Color temperature:Warm White 5000k. Usage: Torch headlight, Dashboard light. LED chip: 5730 LED. Ever ready rubber torch in unused fully working condition.Rubber is as new and comes complete with its original box.Works with 2X D cell (not supplied) type batteries,thanks for looking. Fulton is a trademark of F ulton industries, inc.Draco Products is not affiliated with F ulton industries, inc. 3-cell battery operated products (Energizer Zink, Energizer Alkaline, PowerGenix NiZi, Energizer AA lithium, NiCad, and NiMH batteries. ). Varta 3 Watt LED Indestructable Professional Line Torch + High Energy Batteries. Varta 3 Watt LED Indestructible Professional Line Torch. Includes 3 x C High Energy Batteries. High Quality. Up to 151m distance. 5 out of 5 stars - Varta 3 Watt LED Indestructable Professional Line Torch + High Energy Batteries. 11 product ratings11 product ratings - Varta 3 Watt LED Indestructable Professional Line Torch + High Energy Batteries. It's light weight makes this handy little pen light super easy to carry around with you. 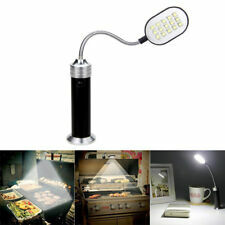 STEELMAN 2AA LED Pen Light. STEELMAN 78537 16-Pc Locking Lug Nut Master Set Wheel Lock Key Removal Tool Kit. Soft touch switch mode. Energizer Waterproof 2AA LED torch x 1. The torch is designed to float upright on top of the water so that you can easily recover it if you accidentally let go. Either side of the torch has a reflective panel so that you can spot the torch in the dark. When you need the latest and brightest LED technology in a compact form factor, choose the new MityLite™ 1965 LED from Pelican. Small enough to fit in your shirt pocket, yet bright enough to illuminate your work area. 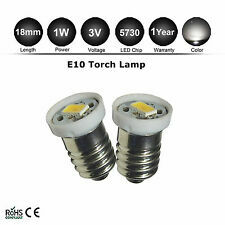 Bulb for L/HR3D Lighthouse Torch. Orders are dispatched on one of the following services. - AB, BT, IV, KW, PA, PH, all Islands. FEATURES & SPECIFICATIONS. - AB, BT, FK, GY, HS, IM, IV, KA, KW, PA, PH, ZE, all Islands excluding IOW. Rubber Headtorch/Flashlight Tri-mode: single, triple or flashing. 1LED 50hrs, 3LEDs 20 hrs Hardwearing rubberised construction. 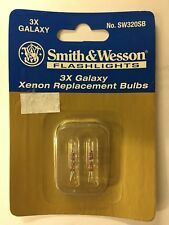 Single LED, 3 LED or flashing modes. CE approved. 20 hrs battery. 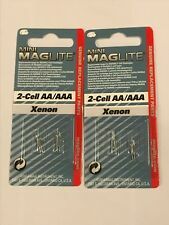 2 x C2032 3V lithium batteries included. 2W with micro USB charging function. LED's work LED battery pen torch work light. LED type: CREE 1W front / SMD page. Product type: LED. Beam angle: 15° front / 60° page. Form: elongated. Charging function via micro USB. 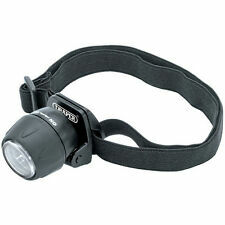 Active Quality 3 Rubber Head Led Torch Head Light A50329 light weight. Requires 2 x AAA batteries -. Condition is New. The Might-D-Light's durable, compact design is perfect for a variety of applications. The unit folds for easy storage. Super bright LEDs with 2 level light output. LED's work LED work light Worklight portable lamp battery. -ultra strong magnet. Product type: LED. Beam angle: 70 °. - Li-Ion Battery. Form: elongated. Charging function via micro USB. Instant full brightness. Light weight. Easy On / OFF Button. Am-Tech 3 Watt LED Aluminium Torch. High quality, durable aluminium body. Adjustable beam focus LED. Can shine light 750ft. 3 AAA batteries required. Batteries Included?. Type of Bulb. Batteries Required?. Bulb power: 1 x 0.3 W (included). Bulb type: LED. Colour: Yellow. Warm white light. Item as described. Are you satisfied?. Excluded areas: Channel Islands, Isle of Man, Isles of Scilly, Scottish Highlands and Scottish Islands. 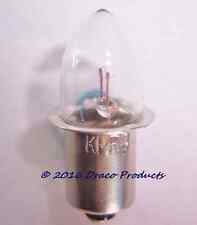 Standard 3.6V Krypton Torch Bulb. 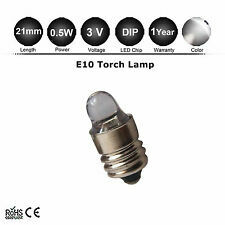 Standard Torch Bulb. torch bulbs. you will not be fobbed off with excuses, if we have failed to provide as stated we will start to rectify the problem straight away and. The CR2016 is a 3V Lithium coin cell from Energizer. Replaces: 2016, 280-202, 280-204, 280-206, BR2016, CR2016, DL2016, EA50CF, ECR2016, FA, KL2016, LF1/4V, SB-T11. Battery QTY. Drive Size. Head Weight. The CR2016 is a 3V Lithium coin cell from Energizer. Replaces: 2016, 280-202, 280-204, 280-206, BR2016, CR2016, DL2016, EA50CF, ECR2016, FA, KL2016, LF1/4V, SB-T11. Replaces: 2016, 280-202, 280-204, 280-206, BR2016, CR2016, DL2016, EA50CF, ECR2016, FA, KL2016, LF1/4V, SB-T11. The CR2025 is a very popular 3V Lithium coin cell from Energizer. Replaces: 2025, CR2025, DL2025, EA100CF, ECR2025, KL2025, L12. Key Features. Battery QTY. Drive Size. Head Weight. Range Model. Radio Type. The CR2025 is a very popular 3V Lithium coin cell from Energizer. Replaces: 2025, CR2025, DL2025, EA100CF, ECR2025, KL2025, L12. Coin Lithium. Cell size: 2025. Battery QTY. Range Model. Radio Type. Head Weight. Part no: 07190. Draper Tools. Easily operated by a simple twist on/off function. Suitable for hands free work with 90° pivoting lamp. Black & Decker Orange Snake Light Preowned Tested Working takes two "C" bats. Black & Decker Orange flexible snake light in good condition, tested, and working; takes two 'C' batteries ( not included), features: flexible positioning hands free convenience; high-intensity Zenon bulb; bend to direct light, with flexible core for bending, coiling, draping, or wrapping. DRAPER Heavy Duty 9V PP3 Size Alkaline Battery. Spark Plug Tools. Heavy Duty. Manufacturer Part NumberDraper Tools. DIY Car Service Parts. NGK Glow Plugs. Lucas Glow Plugs. Glow Plugs. NEW High Quality Am Tech LED Aluminium Torch with Free Battery. Adjustable beam focus LED. Can shine light 750ft. Milwaukee Power Tools MILM18TLED0 M18 TLED-0 LED Torch 18V Bare Unit. 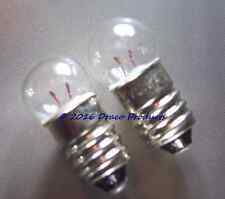 Energizer Lighting EVES4867 GLS Halogen Bulb 80 Watt (100 Watt) BC/B22 Bayonet Cap Box of 1. DEWALT DEWDCL040 DCL040 XR Torch 18V Bare Unit. Each unit is designed to last 2-hours and produce a 35 m throw. Includes 8 AAA batteries. Lightweight and compact for easy transport. Colors:silver,black,blue,pink.